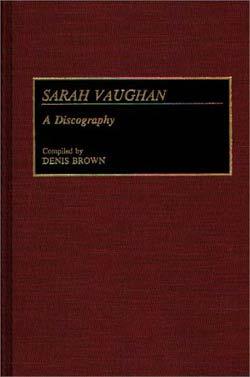 Sarah Vaughan CDs available from Document Records. 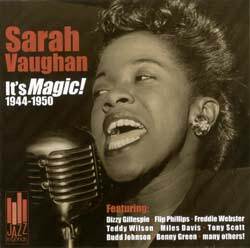 Sarah Vaughan: It`s Magic! 1944 ~ 1950. Click here to go straight to the CD. Sarah Vaughan (March 27, 1924 - April 3, 1990) is considered by some to be one of the greatest female jazz singers in the history of the genre, along with Billie Holiday and Ella Fitzgerald. 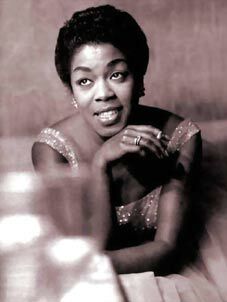 Sarah Vaughan was born in Newark, New Jersey, on March 27, 1924. At the age of seven, Vaughan began her formal music education, inspired by her mother Ada, who she would later join in the choir of the Mount Zion Baptist Church in Newark, New Jersey. At home, she would spend many hours listening to records with her father, Asbury, who also played piano. Sarah took piano and organ lessons, whilst going to East Side Music and Arts High School. At age 16, family and friends persuaded Sarah to enter the amateur show at the Apollo Theatre in New York City. She won. The prizes were $10.00 cash and a week`s engagement. Ella Fitzgerald was the artist appearing at the theatre when Sarah performed during her winning week. Ella was one of Sarah`s early inspirations and it was Sarah`s wish to one day record with Ella and do a TV special together. Billy EckStine was in the audience and recommended Sarah to Earl "Fatha" Hines. He was band vocalist with Earl at the time. Sarah was hired as singer and second pianist for the band. After she and Billy worked wth Earl for over year, Eckstine formed his own, now legendary, band. The personnel included, among others, Dizzy Gillespie, Fats Navarro, Roy Eldridge, Charlie Parker and Gene Ammons with Sarah and Billy as vocalists. They developed a style of music called bebop and the band is now recognized as the finest of that era. Billy and Sarah maintained their lifelong friendship. They lived near one another and often visited, and enjoy talking about old and new times. They performed together on the "The Great American Singers" with Tony Bennett and loved every minute of working together. Sarah and Billy were the first singers to explore the revolutionary freedoms of the bop style. Her nightly performances with the master musicians she sang with, taught her timing, technique and showmanship. Her amazing, awesome, natural talent, combined with the love for her profession, has earned her world- wide accolades. She sang in a rich contralto voice with a three-octave range. Her sensitivity to harmony and her skill in improvising singled her out as one of the great musical performers of the 1900`s. Vaughan was nicknamed "Sassy" because of her personality and "The Divine One" because of the respect other musicians had for her voice and musicianship. Through the years, Sarah broadened and enriched her early influences. Her delivery and repertoire embraced every type of music: gospel, jazz, classical and pop. She enjoyed the great distinction of being an incomparable jazz performer with the range and ability of an opera singer. She was equally at home with a jazz trio or a symphony orchestra. "Her voice, which has four octaves and out-classes that of most operatic sopranos, came in unequal parts, a rich middle section, a little-girl high register, and a sometimes vulgar, echoing bottom range. She uses it like a horn . . . " wrote Whitney Balliett, in New Yorker Magazine, July, 1977. (Balliett is a writer of America`s unique art form, jazz. His criticism is esteemed by fans and colleagues wherever music is performed.) The songs featured on this compilation were recorded from 1944 ~ 1950. The first two tracks are "Interlude" and "What More Can A Woman Do", with Dizzy Gillespie on trumpet and Charlie Parker on alto sax. In 1946 Sarah went solo recording sides for Musicraft, such as Tadd Dameron`s "If You Could See Me Now", "Tenderly" (her first hit) and "It`s Magic" (1947) which were among the hippest records of their day. Other highlights on this CD include "Black Coffee", where Vaughan sings the blues, "Ain`t Missbehavin`", "It Might As Well Be Spring" with Miles Davis and "East Of The Sun" performed with just a rhythm section. 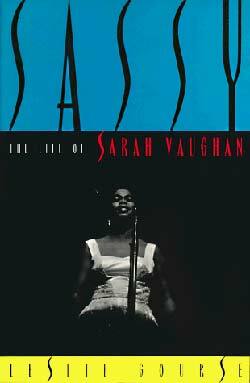 Sarah Vaughan went on to become a world traveller and international star who was a regular at major jazz festivals and prestigious concert halls. Until bad health forced her gradual retirement in the late 1980`s and her death on April 3rd, 1990 in Los Angeles at the age of 66, Sarah Vaughan retained her wonderous voice which never declined nor lost its ability to amaze listeners. 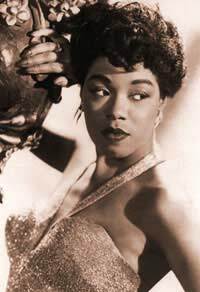 Though she was neither as iconic as Billie or as universally loved as Ella, `Sassy` was possibly the most technically gifted jazz singer of all time.